Hydrangea is a water-loving shrub known for its lush greenery and large, dramatic blooms, some of which change color as the season progresses. The plant is original to Asia but is now widely grown as a landscaping specimen in temperate climates elsewhere. 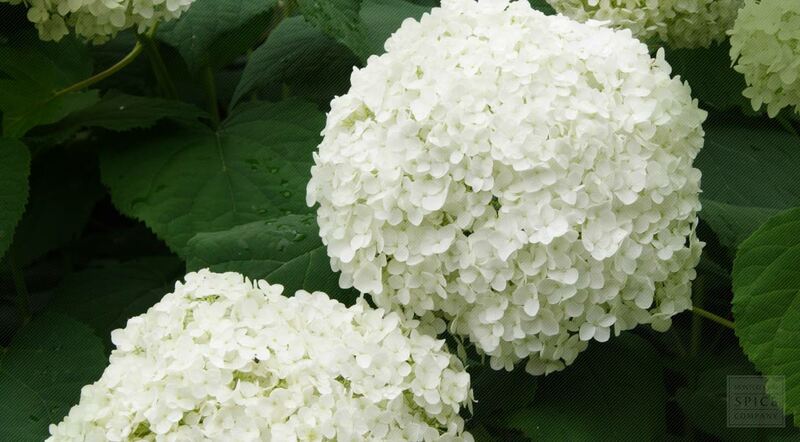 Because the outer layer of its stems tend to peel, revealing different shades of pith beneath, hydrangea has earned the nickname of Seven Barks. A tea is made from the root of the plant, which contains a crystalline substance in the coumarin family called hydrangine, also known as umbelliferone. Hydrangea arborescens is a species of flowering plant in the Hydrangeaceae family. It is a small- to medium-sized, deciduous shrub up to 3 m (10 ft) tall. The inflorescence of smooth hydrangea is a corymb. The showy, sterile flowers are usually absent or if present they are usually less than 1 cm in diameter. Flowering occurs May to July. Fruit is a ribbed brown capsule about 2 mm long; many are produced. The leaves of smooth hydrangea are large (8 to 18 cm long), opposite, serrated, ovate, and deciduous. The lower leaf surface is glabrous or with inconspicuous fine hairs, appearing green; trichomes of the lower surface are restricted to the midrib and major veins. The stem bark has a peculiar tendency to peel off in several successive thin layers with different colors, hence the common name "sevenbark". Hydrangea arborescens is native to the eastern United States. It is widely distributed across the eastern United States—from southern New York to the panhandle of Florida, west to eastern Oklahoma and southeastern Kansas. It is mainly found under a hardwood forest canopy and is often common along woodland road banks and streams. Grows primarily in moist fertile soils rich in organic matter. Hydrangea can spread rapidly by stolons to form colonies, so can be divided in late winter and planted directly in the garden. Sow seed in a greenhouse in spring. Cover the pot with paper until the seed germinates. When they are large enough to handle, transplant seedlings out into individual pots and grow them on in the greenhouse for at least their first winter. Plant them out into their permanent location in late spring or early summer, after the last expected frosts. The roots are harvested in the autumn and it is best to cut them into short sections before drying them. Store dried hydrangea root pieces in an airtight container in a cool, dry place. Hydrangea is a genus of nearly 75 species of flowering shrubs of ancient origin. In fact, evidence exists that hydrangea thrived in Asia as long as 25 million years ago and in North America more than 70 million years ago. The herbal preparation referred to as hydrangea root is derived from smooth hydrangea (Hydrangea arborescens), which is native to the eastern United States. Also known as seven barks, this species of hydrangea has a long history of use by Native Americans and early European settlers that is now backed up by modern science. The Cherokees used hydrangea root to address skin irritations, burns and wounds, as well as bladder and kidney stones. 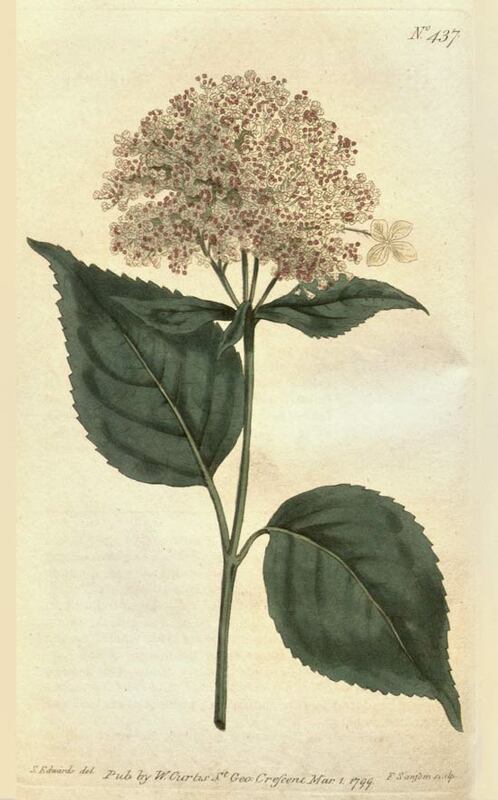 In fact, the traditional “kidney stone tea” consists of hydrangea root, cramp bark, plantain leaf and Joe Pye weed. In Chinese medicine, hydrangea root has also been used for centuries to treat stones of the bladder and kidneys and to counter malaria. Japanese scientists have recently found that there may be merit to using this herb to encourage the passing of small kidney stones. Hydrangea root appears to have a protective effect on the liver as well. In fact, a study published in the Japanese medical journal Bioscience, Biotechnology, and Biochemistry (BBB) in 2003 reported that hydrangea root extracts deliver more antioxidant value to the liver than milk thistle and turmeric extracts combined. In the June 5, 2009 issue of Science, a team of researchers from the Program in Cellular and Molecular Medicine and the Immune Disease Institute at Children's Hospital Boston and another from the Harvard School of Dental Medicine announced that hydrangea root may play a role in the treatment of a number of autoimmune disorders, including eczema, psoriasis, type 1 diabetes, multiple sclerosis, rheumatoid arthritis and inflammatory bowel disease. Of particular interest is halofuginone, a molecule isolated from hydrangea root. In this particular study, the researchers found that halofuginone blocked the production of pro-inflammatory chemicals collectively referred to as cytokines. This substance also inhibited the production of Th17, a specialized immune system helper cell thought to be involved in triggering an inflammatory response that causes the immune system to mistakenly attack healthy tissue.